Media Production, Products and Services in the fields of photography and portraits, video and film production, modeling and fashion, professional cosmetics and apparel. Based in the San Francisco Bay Area and proudly serving the United States. AJ Patell has been in the graphic arts industry for over 25 years, specializing in graphic design, printing, and marketing communications production. Versed in web design and development since the inception of the web, AJ founded Syclone Media Group to service small business and startups in all facets of marketing and advertising. His artistic endeavors naturally led him into photography, photographic editing and videography to fortify his highly technical experience in the world of digital art and visual media. Now AJ is focusing on the field of creative photography for business and enjoyment, reaching even deeper into his talent and experience to bring the creative edge he was known for to his photographs. To get better, one project at a time, has always been his mantra. Every photograph and project he takes on always evolves through emotion and energy, coming to life from what is already present and hidden in its moment in time. Make your own legend, weave your own fairytale with AJ Patell. Let him freeze your life for that millisecond and immortalize it to cherish and share for all your days. 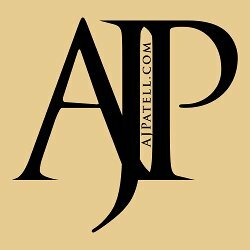 If you would like to partner with AJ Patell LLC, please contact us through email, thank you. AJ Patell LLC has a large portfolio of Internet Websites and properties.